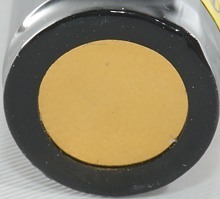 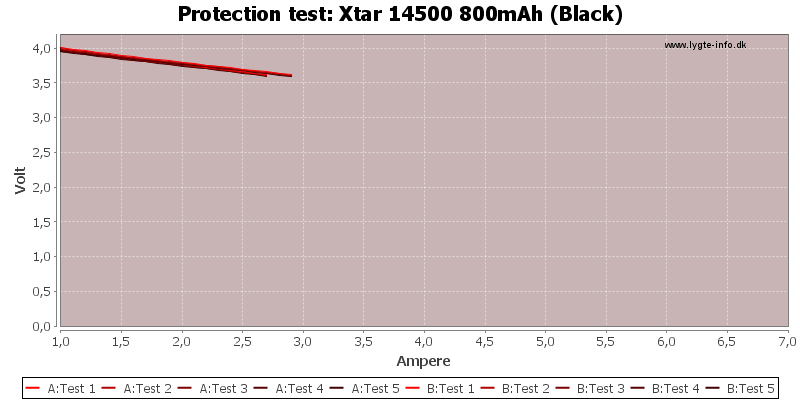 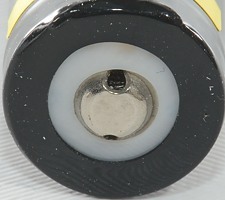 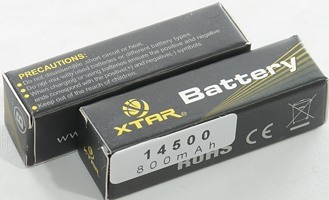 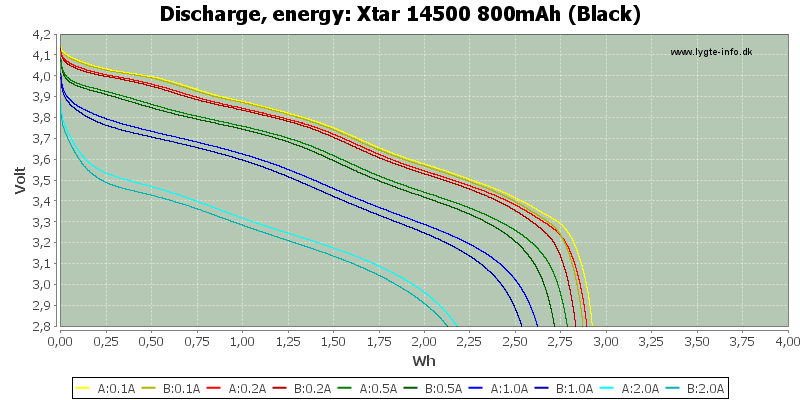 AA sized 3.7 volt LiIon battery from Xtar. 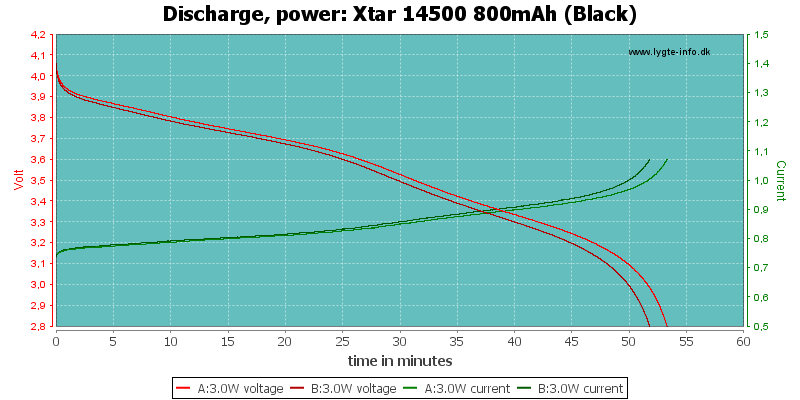 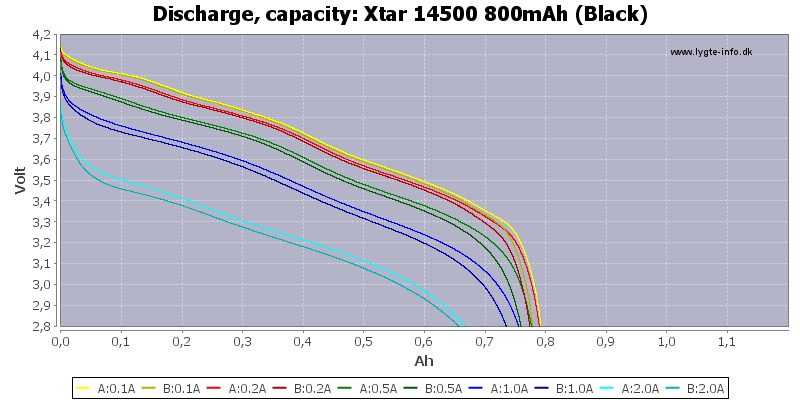 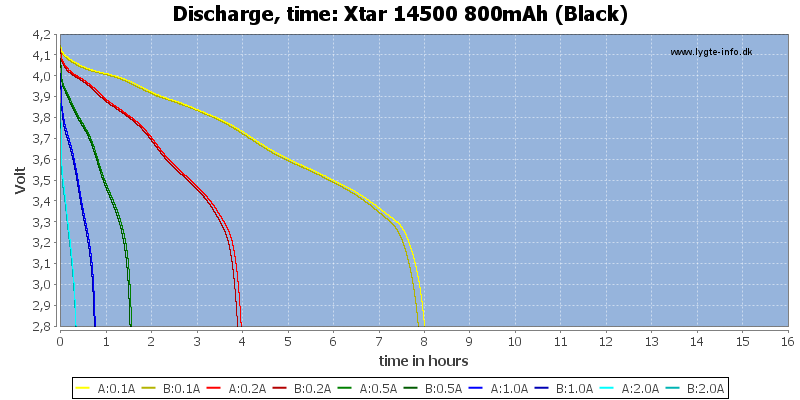 The two batteries tracks fairly well for 14500 batteries, but definitely not perfect. 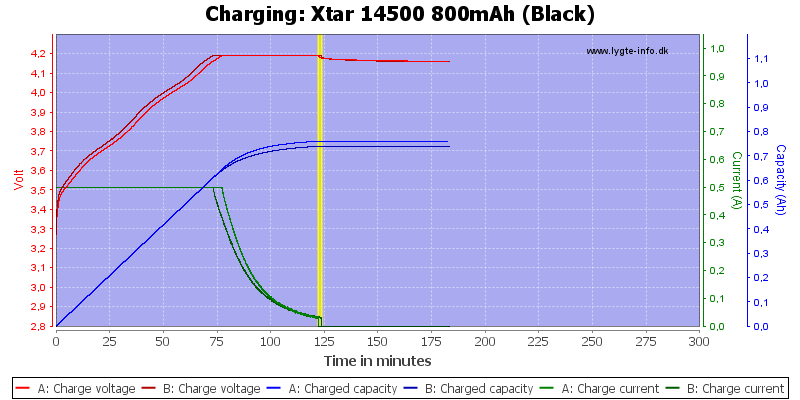 The capacity is 800mAh at low loads but drops at higher loads. 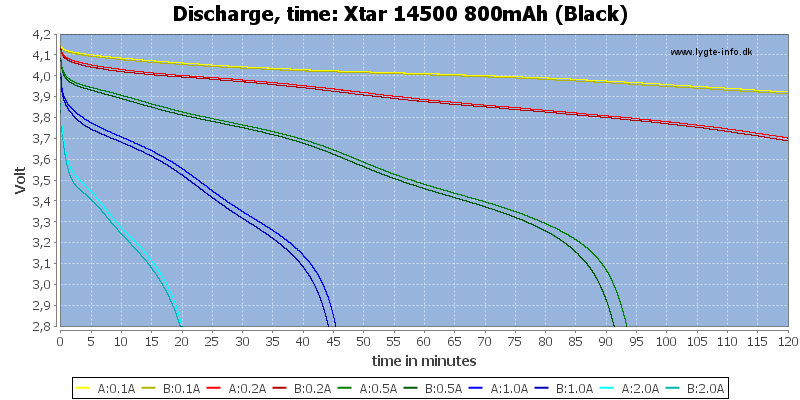 The battery has an acceptable performance, but it is possible to find better performing battery (That are slightly longer).